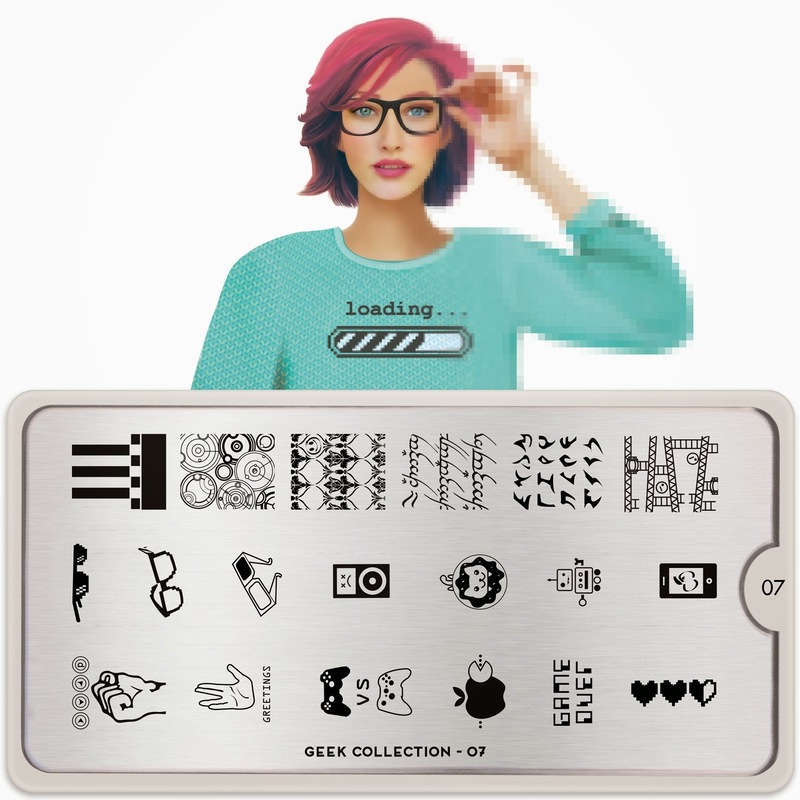 Lacquer Lockdown: Hot Off The Stamping Press: MoYou London Geek Collection Expansion! 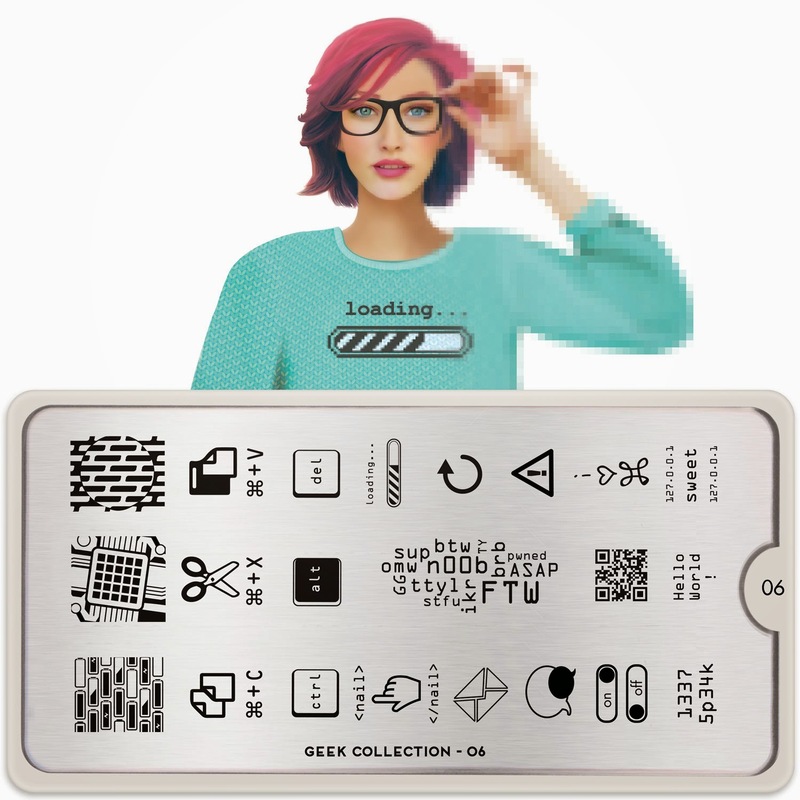 Hot Off The Stamping Press: MoYou London Geek Collection Expansion! Computer keys and signs some cuter looking typography here too. I think but I'm not 100% that this is one of the smaller sized plates. Yay game controllers and little apple products! I wonder what this floral pattern is 3rd from the left top row. The calligraphy looking writing I think is elvish a' la LOTR and of course there is the Spok hand gesture. I have seen these scrolling type images before on Reddit feeds that show images just using computer characters and I'm always blown away. It's crazy to think you can create a picture this way! Honestly, when I saw the name of the collection on the email they sent I thought this would be a fandom/cartoon/anime inspired collection, which would be awesome because what isn't awesome about that? But then I saw this and I was like "me". There wasn't anything new nor interesting to me. The only things salvagin this collection, for me, are the two images we were talking about before, but I'm not going to pay 4.99 gbp for two images. I thik this whole collection should be scattered into other sets. I like the idea of the plate, but it doesn't really catch my attention. I think rather than focusing on the small things, they could have done something so much more. if they put more things that geeks truly understand, AKA - DnD, World of Warcraft, Old school games (Mario, Duck Hunt, Zelda, ect ect) I think it would have been really cool. 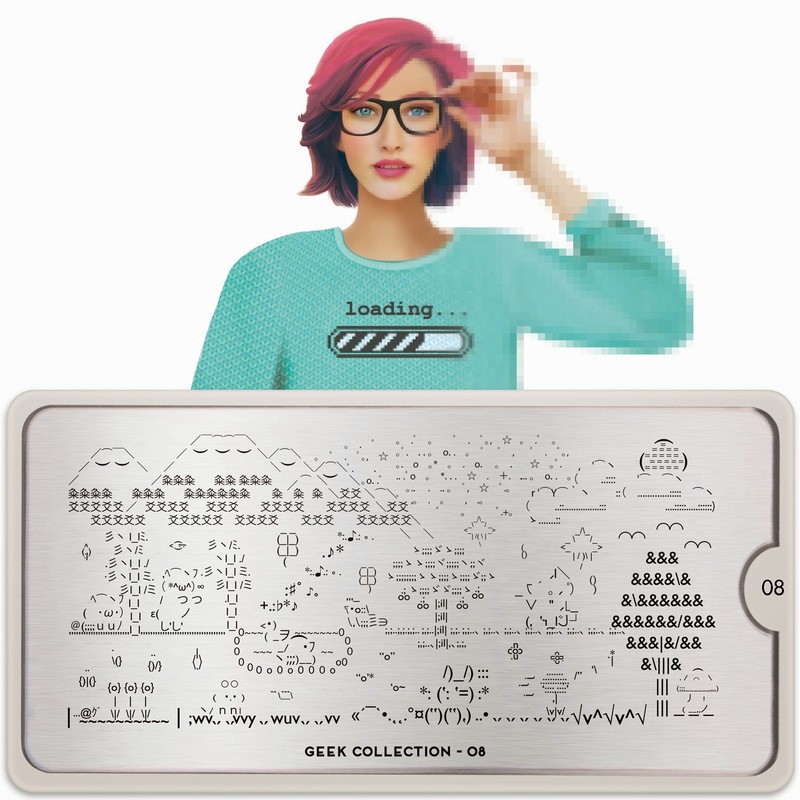 But due to the licensing of those things, its difficult to truly appear to the geek crowds in the Nail art world. I like the set, but I think this is one of those sets where I can wait for them to be on sale or find them on ebay/alliexpress or something. I'm actually interested in 06 and 07. 06 is more geared to the computer tech geek with home sweet home written as an IP Adress in the upper right corner, and you have your texting shorthands (FTW, BRB). 07 has a bit (like a tiny bit) more fandom based items: Spock, LOTR, Doctor Who (or steampunk, depending on how you see those circles) and Sherlock. You have video games references: controllers, Donkey Kong background, game over, and Zelda life hearts. I like them, they are different, though I totally with there was more fandom/game based references but you are right, copyright issues.